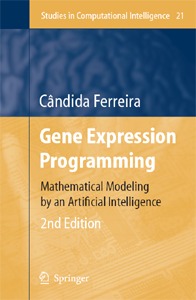 C�ndida Ferreira thoroughly describes the basic ideas of gene expression programming (GEP) and numerous modifications to this powerful new algorithm. This monograph provides all the implementation details of GEP so that anyone with elementary programming skills will be able to implement it themselves. The book also includes a self-contained introduction to this new exciting field of computational intelligence, including several new algorithms for decision tree induction, data mining, classifier systems, function finding, polynomial induction, times series prediction, evolution of linking functions, automatically defined functions, parameter optimization, logic synthesis, combinatorial optimization, and complete neural network induction. The book also discusses some important and controversial evolutionary topics that might be refreshing to both evolutionary computer scientists and biologists.